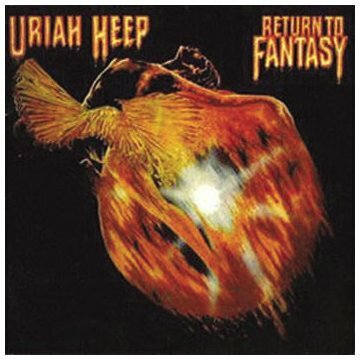 Uriah Heep’s bagful of studio gimmickry and David Byron’s hard-hitting vocals help give this ninth group release its commercial appeal. Unfortunately, though, if you’ve heard one Heep LP (I recommend their live set of a few years back), you’ve heard ’em all. And while an occasional listen can be fun, heavier doses will expose the extreme limits of its members’ musical imaginations. Veiled in heavy metal, the Heep’s lyrical banality is generally harder to detect; but this time around, with every dumb syllable printed on the album’s inner sleeve, you can’t miss it.